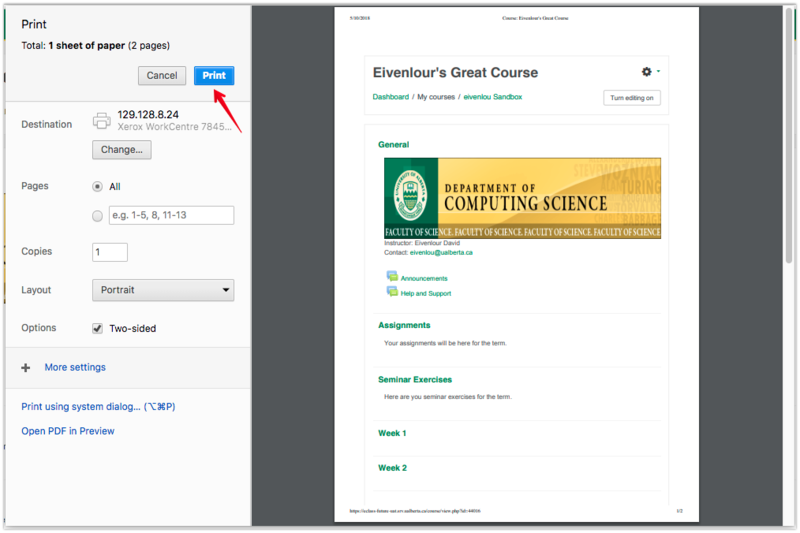 This article will explain how to print pages on eClass. This functionality is governed by print-style component of the eClass theme but is actively completed by the web browser so there may be slight differences in the mechanics and output depending on your specific browser. When printing a page on eClass, only the main content of the page is printable. The blocks on the left and right hand side will not be included. 1. Go to the page you wish to print. 2. On the same page, right-click on your mouse. A menu will pop-up. Select Print. Alternatively, press Ctrl+P or Command+P on your keyboard. 3. Another menu will pop-up displaying a previewed version of the eClass page. Click on Print to confirm. 1. As an instructor, go into the quiz you wish to print. 2. 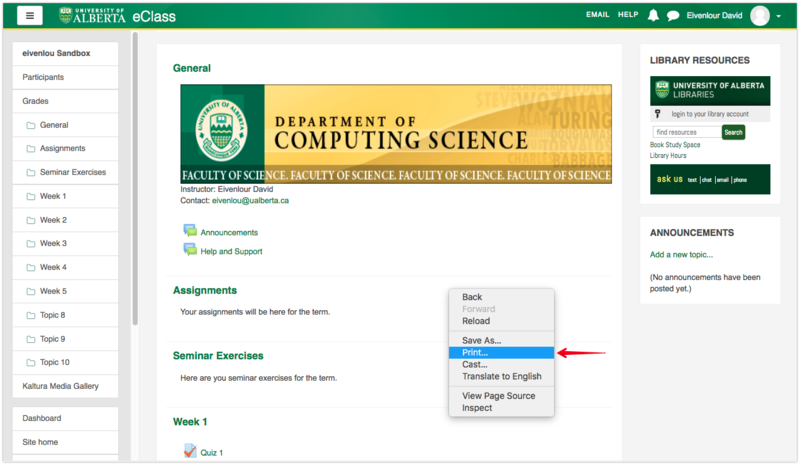 Select Preview on the left side of the page under Quiz administration. 3. After starting the quiz, select Finish attempt... in the top left corner of the page. 4. Scroll to the bottom of the page and select Submit all and finish. 5. 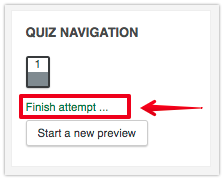 On the review page, use the steps outlined at the top of this article to print/export the quiz (exporting can be achieved by printing to a file). A known issue can cause irregular formatting when printing eClass resources containing tables. If you are experiencing formatting issues when printing, try using the Google Chrome web browser.